Our first ever Triathlon challenge is here. It is our biggest medal yet, to reward the extra effort to do all three activities. You need to cover 20km by running, swimming and cycling. You can chose how much to do for each activity. But you must have done at least some activity for each of them, totalling 20km. Medals are sent out from July 2019 once evidence has been received. MedalMad is a virtual running and challenge site that has been created to help motivate you to be active. 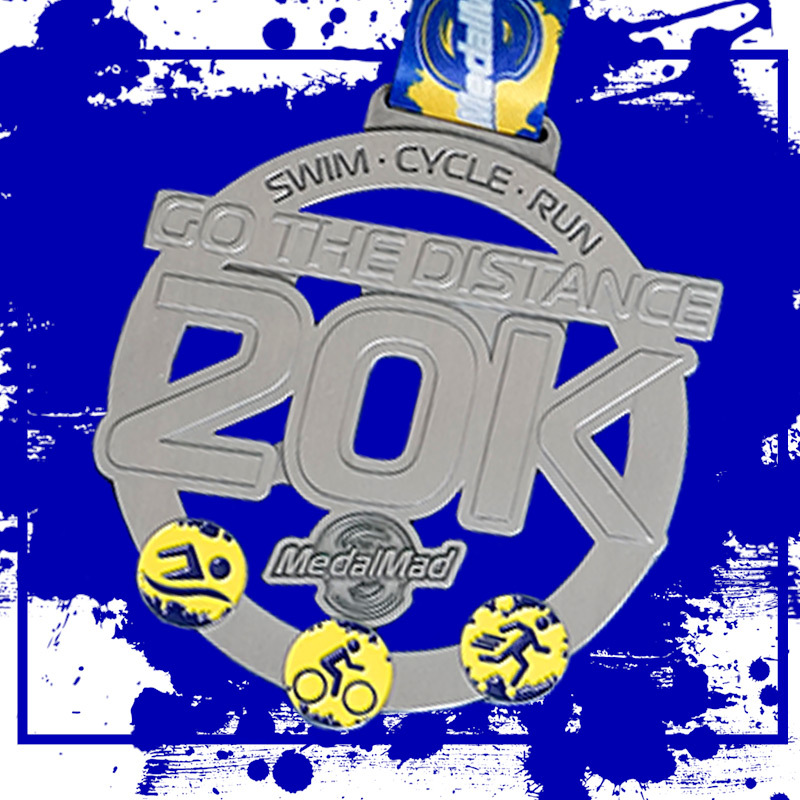 Our virtual challenges can be done anywhere at any time with a motivational medal at the end! Track your distance, using the MedalMad app or a tracker on your phone or tracker watch, then upload it to the MedalMad app or website. Make sure you upload your evidence before the challenge closing date to ensure you receive your medal! You have 3 months to complete the challenge from the 1st of July to the end of September. Please submit your evidence before the closing date to receive your medal. Registration Closes on the 10th July.